In this webinar, Sebastian Hagerborg, Head of Sales at Oneflow, presents how you can leverage Oneflow for Salesforce in your day-to-day to easily create, send, track and e-sign proposals online. 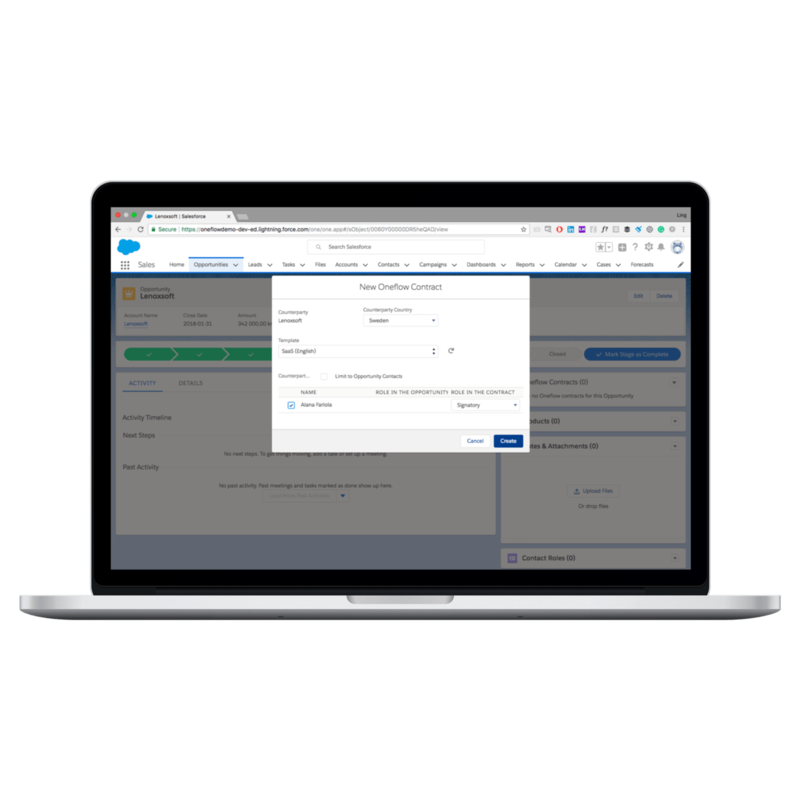 Oneflow for Salesforce reduces friction and adds speed to your sales process by enabling your sales reps to create and manage proposals directly in the Opportunity view in Salesforce, and send proposals for e-sign – all without leaving Salesforce. Get rid of proposal bottleneck in your sales process. Create interactive, responsive proposals automatically from Salesforce. Reduce errors and save time using data merge. Increase hit rate and reduce sales cycle with e-sign. Overview of the statuses of all outgoing proposals. Take immediate actions or follow up with document tracking. Check out Oneflow for Salesforce listing on Appexchange website here.